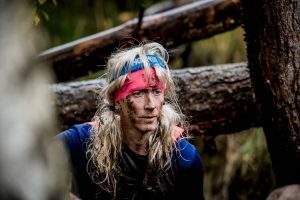 “HellRunner has been operating for over 15 years and it has been my pleasure to inflict suffering on tens of thousands of those souls brave enough to take on our courses. In that time HellRunner and the running market have evolved and so must we. The partnership with Rat Race allows further development of the Hellrunner concept. The courses will retain their devilish difficultly but there will be the addition of new elements and infrastructure to make the overall experience even better. 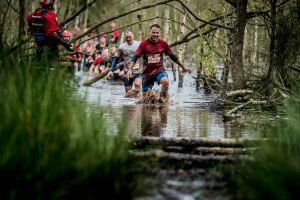 As we seek to constantly improve HellRunner and refresh the challenge we will be moving Hell Down South to the awesome terrain of the Eridge Park estate deep in the fine county of Kent. The terrain of this prestigious private estate will mean your trip to the Garden of England will be no picnic with serious hills, gullies and woodland to encounter. 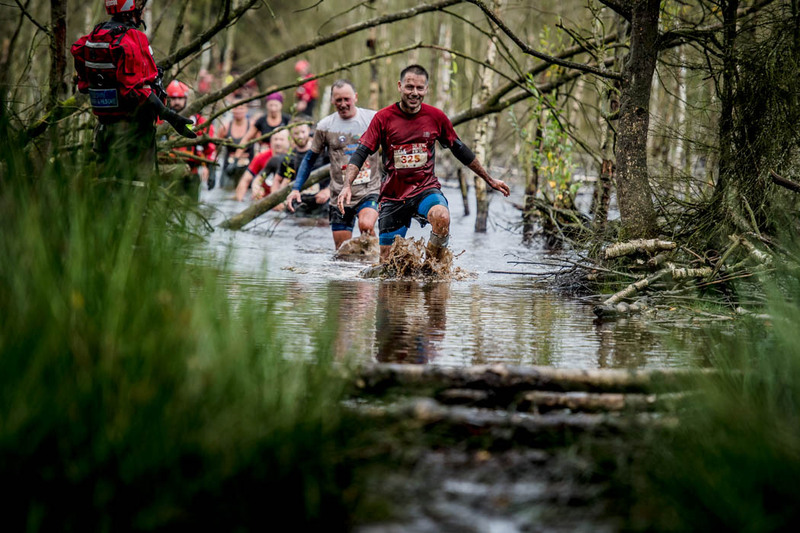 Our move to Eridge Park means we can both bring the full HellRunner route up to 13 miles and invest in enhanced facilities such as shower facilities. As part of our aim to reduce congestion on course and create a smoother event experience all-round, the start waves have been made smaller and the Valhalla wave has been removed. 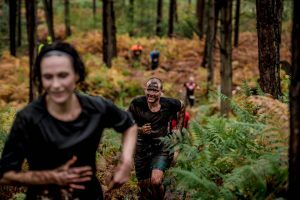 A different short course option for 2019 that will see a smoother mixing in of those taking the shorter option, while those at the front of the field taking on the full course will have a clearer route with the short course junction not open until at least 1 hour and 15 mins after the first wave of full HellRunners have started. See more about the short course option below. 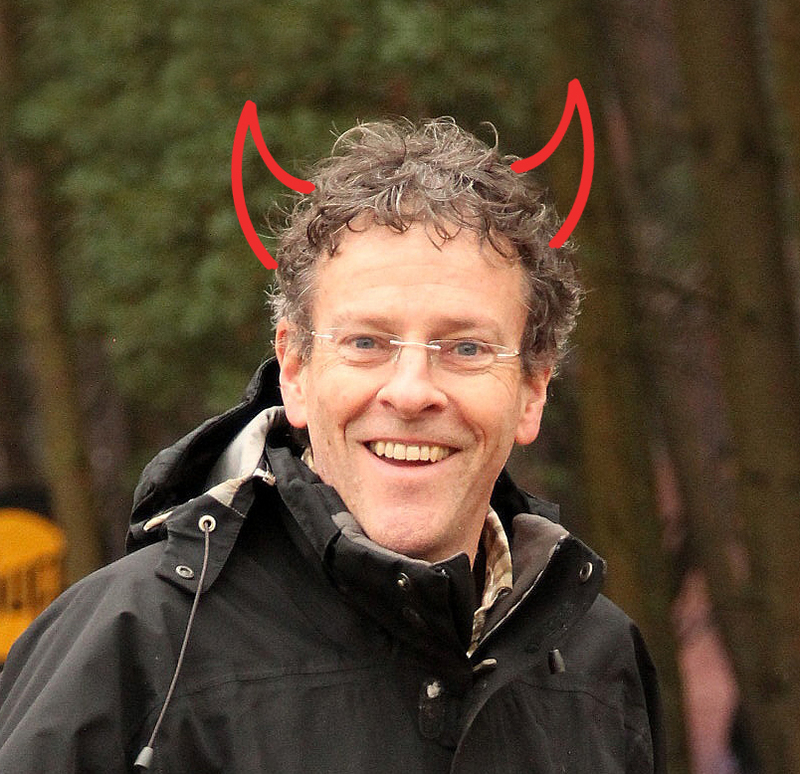 There is now a new class Up North and Down South: ‘Hell Of A Marathon’ fits the need for those that want double demonic punishment. This wave will start bright and early 30 mins before the first wave of the full HellRunners. 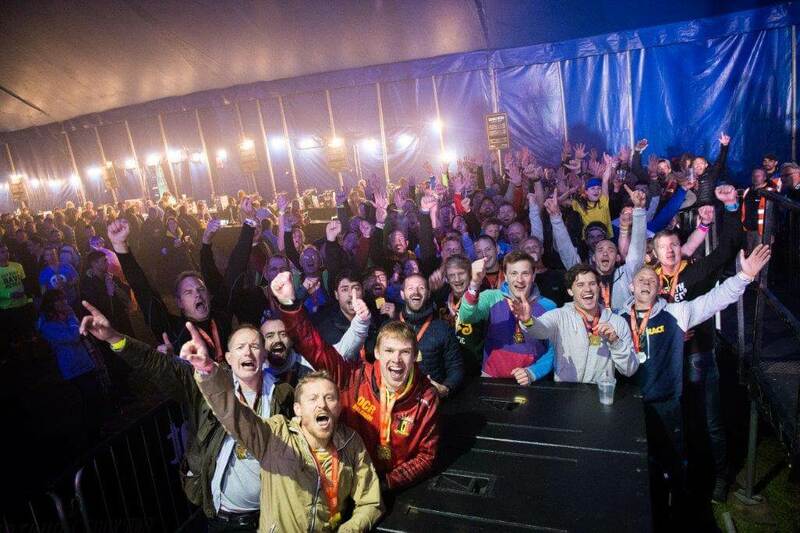 At Nightfall we have upped the ante even further with a class for those going for a ‘Hell Of An Ultra’. These poor souls will get an extra hour on course with their start time a full hour before anyone else gets onto the lapped route. 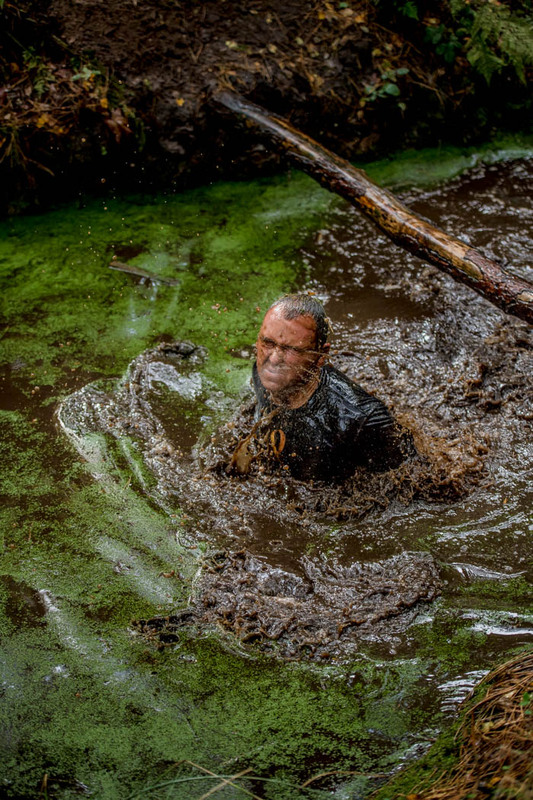 There are some tweaks to the short course option for 2019 with Halfway To Hell replacing the Valhalla wave for those not able to take on the whole 13 miles Up North or Down South. This is available in the later start waves at which time we will open up our Halfway to Hell junction on the course which will cut out about half of the distance. 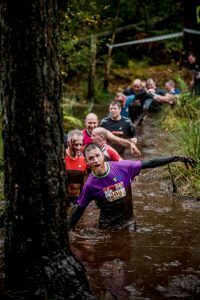 Folk entering this class can still enter with a group of mates to benefit from the Group Discounts even if taking on HellRunner with those that are doing the full 13 miles. Select Half Way To Hell in our entry system so we can issue you with a distinctive Race Bib Number that can be spotted by our marshals and help us to help you go the right way and issue finishers with medal of the correct ribbon lanyard. Heated marquee with food and bev concessions and seating. 2019 will see the introduction of an enhanced food and bev offering. 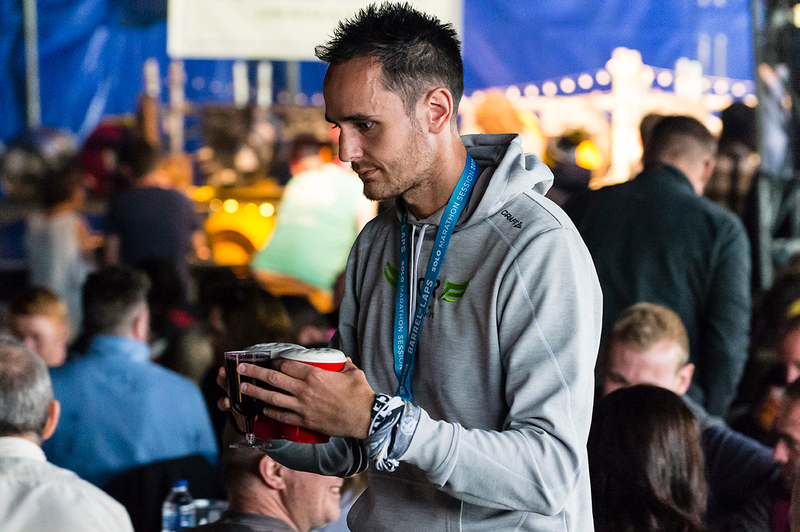 All housed in our heated main marquee expect a range of omnivore, vegetarian and vegan options that will include pizza, burgers, chilli and pasta. The food is complimented by a fully loaded bar* featuring real ale, cider and wine (*except at Hell Down South where alcohol will not be on sale in 2019 but participants are welcome to bring their own booze if not in glass bottles). Our season finale will take place at the awesome Silverstone Woods with the brand new HellRunner Nightfall. 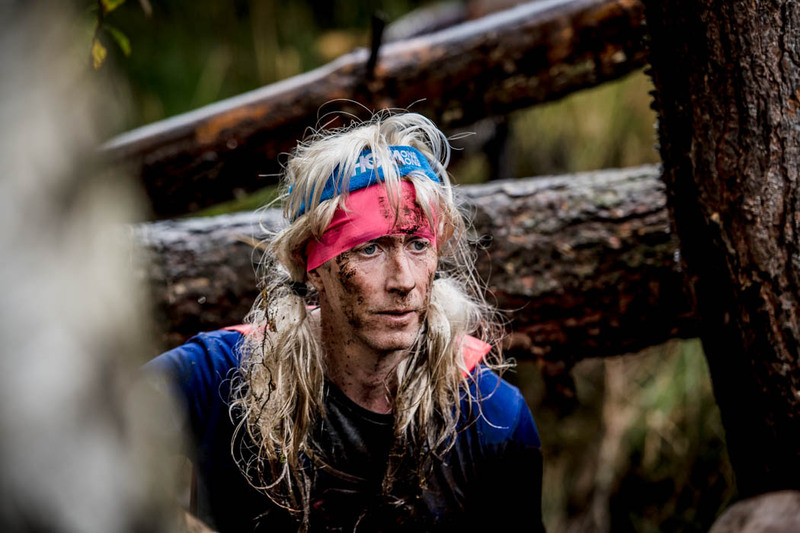 This third event makes the HellRunner series into an Unholy Trinity of challenges. 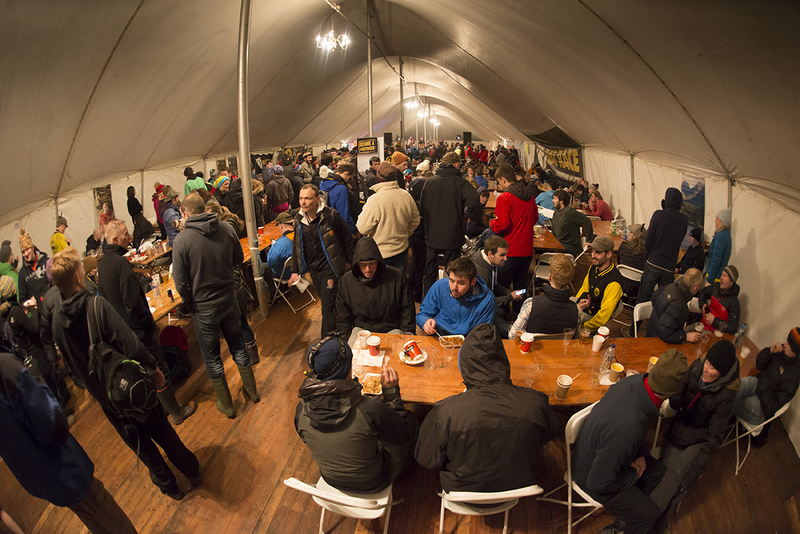 This centrally located, unique venue offers a great combination of mud and challenging woodland on our lapped half-day half-night course, while back at the event centre there is excellent parking and permanent indoor toilets and shower facilities – super handy for those that want to get every last bit out of the end-of-season party. The run is timed to show how long your miserable experience took but there are no prizes for coming first. Just pride. This is a race with a small ‘r’. Our mantra is that the last over the line is as important as the first person and we build our systems and allocate our resources to deliver on this to the best of our ability. Our routes can include interaction with wildlife, livestock, landowners (be really nice to them please) and members of the general public, so adherence to signs (so you go the right way), taking note of our safety advice, being careful with litter and being an all round good egg is part of the gig. 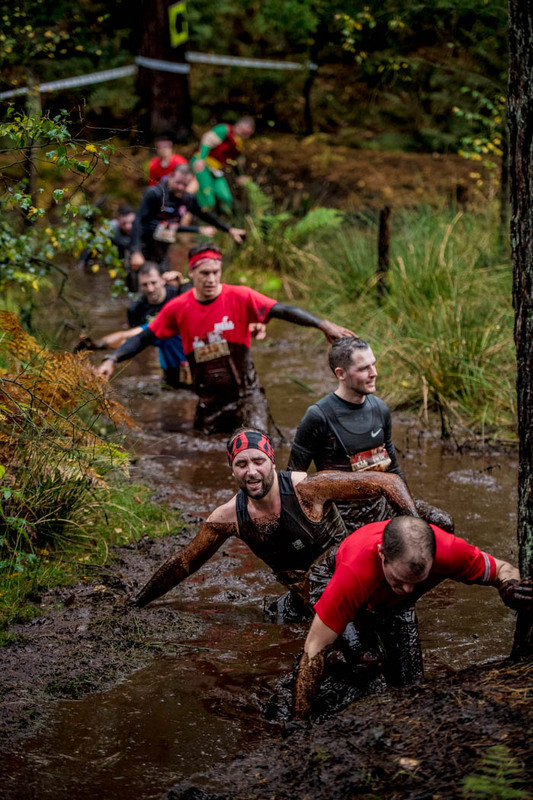 Those that interrupt their run to help fellow participant in distress can claim a free entry for the following year. At the finish line all finishers will receive a 60mm diameter medal, Unholy Trinity medal segment, bottle of water, Pit Stop flapjack bar and a cup of tea. There will also be a handwash facility so that you can wash the mud off your Hellishly grubby mitts. 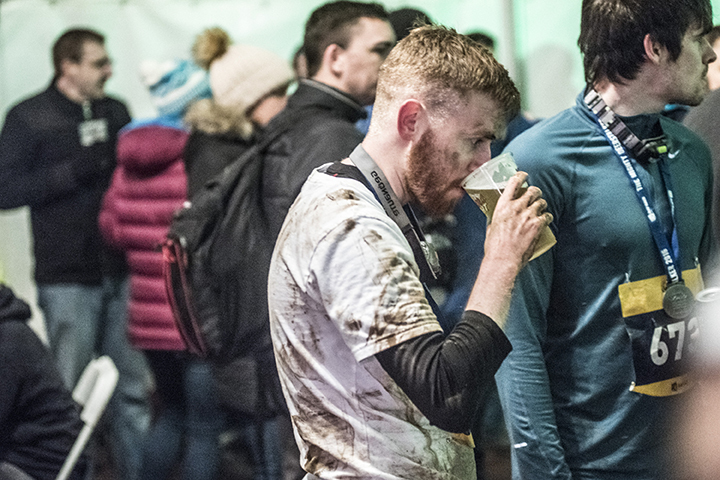 Once you have grabbed your finisher items you will be funnelled into our heated marquee where you will be given the option of posing for a free finishers photograph or simply hitting the food and bev stations. A free valuables drop will be in operation to quickly grab your phone, keys and wallet. There will be an external bag drop area where runners can leave post-race clothes in a waterproof bag and changing tents are available. Getting muddy hands is a significant feature of this challenge. Therefore we will ensure there there is a running water facility for finishers to clean their mitts. For those looking for a bit of extra post-race comfort Up North and Down South we are offering a VIP Upgrade which includes a jacket potato (for those post-race hunger pangs), hot showers, a heated changing tent, bag storage for the duration of the event AND dedicated toilets, which is available to buy in the ticketshop. At Nightfall, pay-as-you-go showers are available in permanent shower blocks. On the course the epic running and high quality safety systems will be maintained plus the addition of a second snack station on the course for those doing the full Hell Up North and Down South routes. These simple snacks will help keep your pecker up with the encouragement of our angelic marshals. If you think you will need sustenance to get round then best carry some calories your self: BUT PLEASE DO NOT DROP LITTER ANYWHERE EXCEPT INTO A BIN. We have made it even easier, and more rewarding, to drag your mates along to share in the punishment. 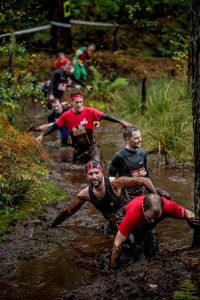 We have extended the team of 10 discount to £10 per team member, plus teams can enter some of the start waves even if the group is a mix between full HellRunner and Halfway to HellRunners. Those entered in teams are able to change team members names for free until 2 weeks prior to the event date. Rather than medals being different sizes, all successful participants will receive a 60mm HellRunner medal with different ribbon lanyards to distinguish the different distance classes. In addition to the finisher medal, each participant will received an Unholy Trinity segment that can be accumulated to fit together once you have endured all three hellish locations. For folk that like collecting t-shirts there will be a different colour Rat Race tech tee at each of the three HellRunner events. 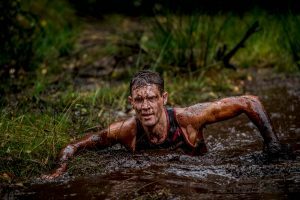 Rat Race are excited to be able to extend the coverage of our national charity partner, Children With Cancer UK, to the HellRunner series. 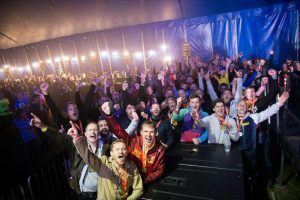 RatRacers and their supporters have been super generous and raised over £1million for this great cause and sights are set on £2million. Those that raise raise £250 for Children With Cancer UK can qualify for a free backpack. See more information here. Thanks to everyone who gets involved with fundraising. 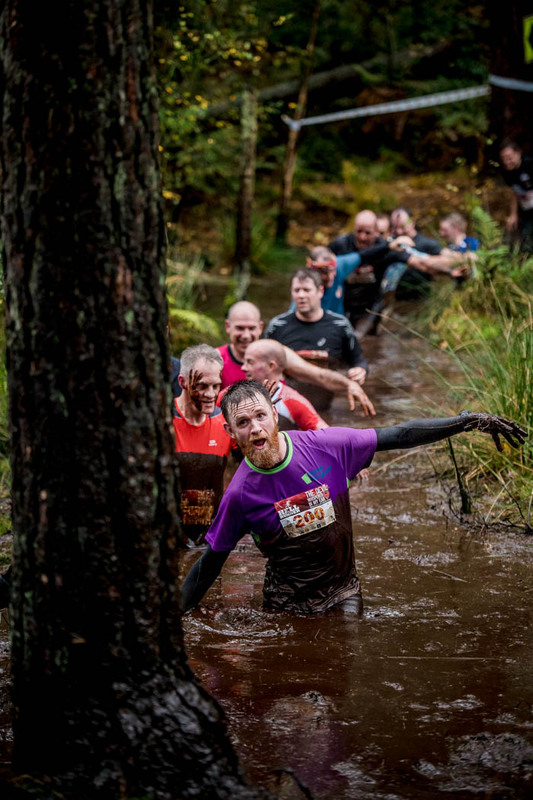 The HellRunner series will now come within the Rat Race Season Ticket package. Season ticket holders can make a standard solo entry for no charge. 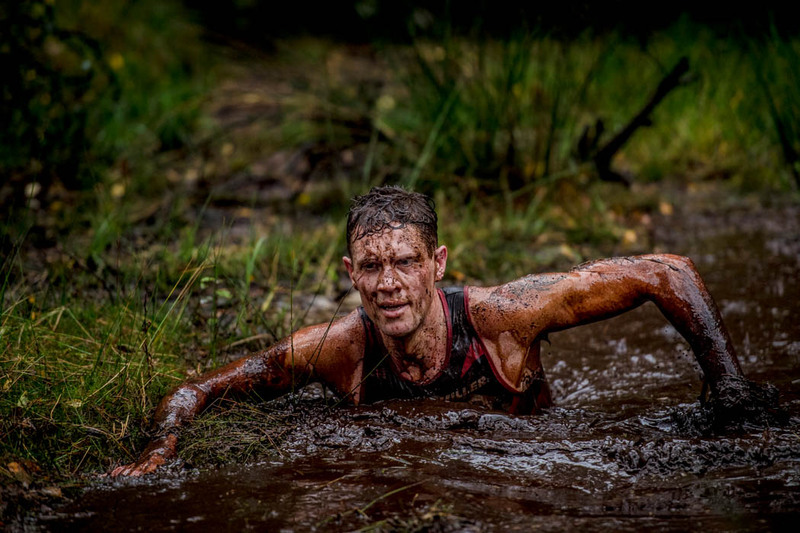 With over 16 challenges across the UK each year, this is our very best value package for those making it a year of adventure. Rat Race tech tees, timing chip and bib numbers will therefore be collected at registration before your start time. Amongst other advantages this means the selection of tshirt sizes will be first-come first-served rather than based on the fastest runner. Don’t forget that YOU WILL NEED PHOTO ID and to fill in our disclaimer form in order to register.